I grew up in the 1960s, during the beginning of the space race. 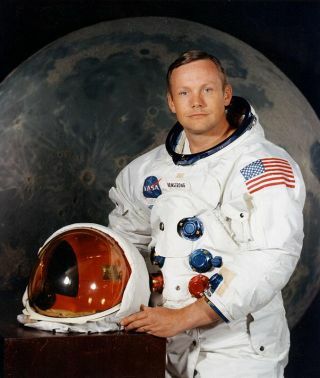 The first astronauts were my heroes, and it was the Apollo 11 moon landing that kicked off my dream of becoming an astronaut myself. We've known for about 20 years that the expansion of our universe is accelerating, but how does the dark energy that causes it work? Hopes of colonizing Mars rest on the premise that we could terraform the red planet, making it habitable for humans with a breathable atmosphere and clement temperatures. Entanglement is one of the most confusing aspects of quantum mechanics — a field of physics that isn't exactly known to be clear-cut, sensible, common-sense or easy-to-understand. An international group of physicists has announced that they have seen the first signals in a cube-shaped detector called ProtoDUNE. As NASA celebrates its 60th anniversary this year, this seems like a good time for the agency to update its antiquated logo. Tantalizing new evidence has suggested that there may be a salty lake below a glacier on Mars. Ewine van Dishoeck, the 2018 Kavli Prize laureate, discusses her personal and professional journey into the field of astrochemistry. Ten years ago, the world's largest scientific instrument was turned on and the start of a research dynasty began. Active space-based experiments can deliver crucial insight into the space environment that has become increasingly vital to national security and the global economy. Look to the heavens to see the latest academic disruption on Earth. Philosophers have debated the nature of "nothing" for thousands of years, but what has modern science got to say about it?